So … I’m official, I guess. Anyone who’s been reading my blog with any regularity over the last three years knows I’ve been working on my novel, TIED for quite a while. They know I went on submission about a year ago with a mixture of fear and anxiety. Somehow I made it through with a publishing contract. Fast forward another year later, and I’m holding the print copy of TIED in my hands. Wednesday night, UPS delivered the print copy (the ARC), and I just kind of stared at it while everyone else jumped around, giving me high fives, and ooh’s and aah’s. I haven’t started the edits yet. I’m still staring at the book. I guess I’m really doing this. Where’d the last three years go? This entry was posted on June 7, 2013 by Laney. It was filed under A Fire Born Novel, Author, Editing To Deadlines, Fire Born Updates, J Taylor Publishing, TIED, Upcoming Releases, Writing, Young Adult Novels and was tagged with ARC, Arts, Author, goal accomplishment, J. Taylor Publishing, laney mcmann, novel writing, Publish, Publishing, Publishing contract, The Fire Born Novels, TIED A Fire Born Novel, TIED by Laney McMann, YA Fiction, YA paranormal romance author, young adult book releases 2013, young adult paranormal romance, young adult urban fantasy. Wow! Can you believe it? A dream come true, literally. What an accomplishment – all the work, stress, excitement, fears faced and overcome – oh, and did I mention work? 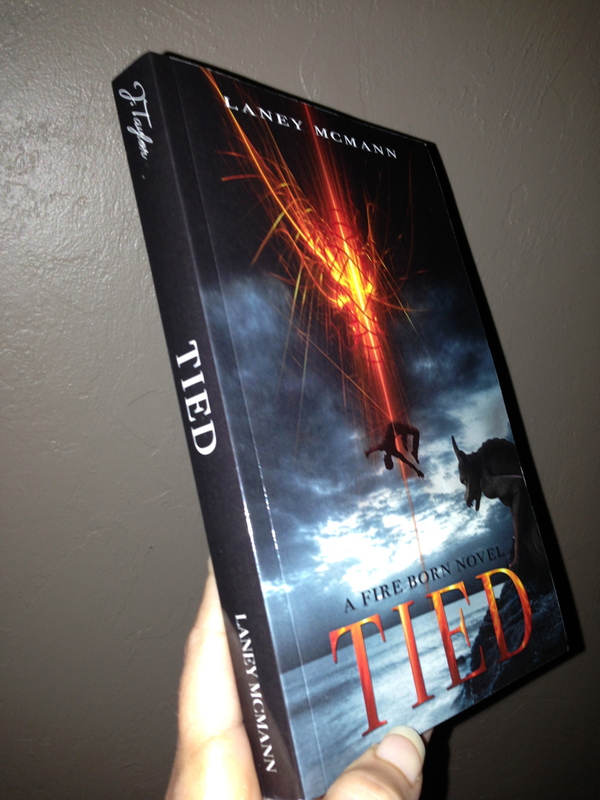 Congratulations, Laney, and all the best with the next book. Fears overcome? Hahahahahha! That’s good. Okay, well, maybe not ALL fears overcome… but one at a time is sufficient. It does sometimes seem that once one fear is faced, there’s a zillion more lined up behind that one… or maybe it is just the same one in a different guise?